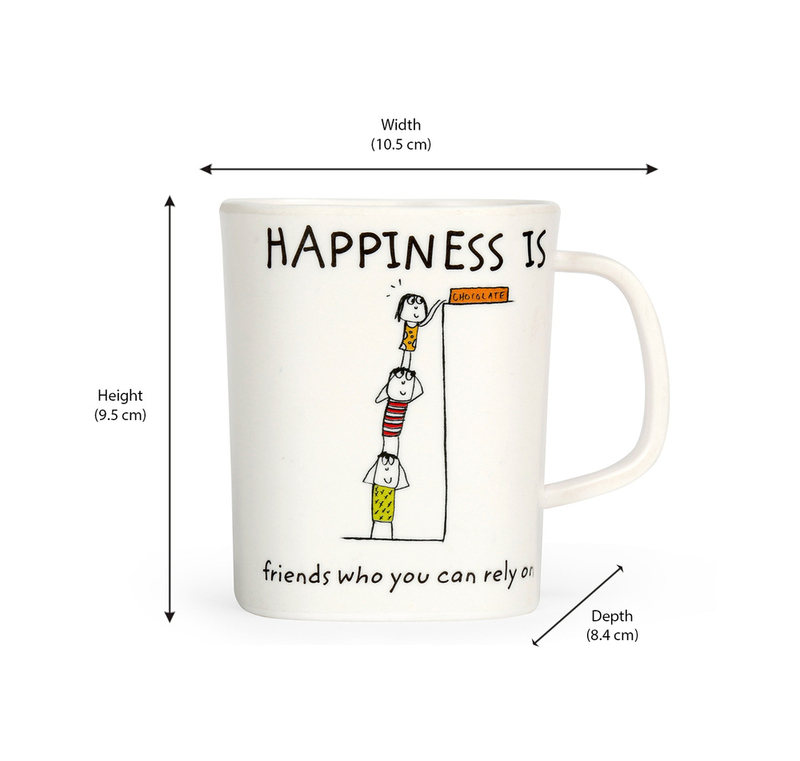 You can’t buy happiness or friends, but you can buy a ‘happiness mug’ for your friends! The white happiness mug, made in melamine, has a fun graphic design. Three prankster friends are up to some fun. Great for coffee, perfect for a hot chocolate or tea, get one or make it a set of two. Or better still; get one for each of your friends. With a comfortable handle and made of melamine, it is easy and safe for kids too.